Stand-up paddleboard – The waters on the calm, sheltered front side of the island are ideal for trying out this popular sport. Several companies rent paddleboards as well as kayaks, pedal boats and more. 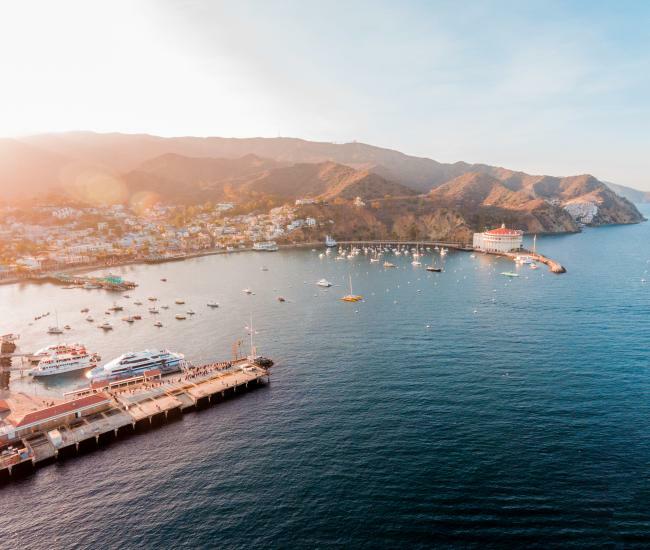 Explore underwater – Catalina Island is widely considered one of the best spots in the country for scuba and snorkeling and it only takes a glance at our clear water and abundant marine life to understand why. See a concert – The Catalina Concert Series returns this summer with three tribute concerts you won’t want to miss. It all kicks off June 23 with Mick Adams and the Stones, a tribute to the Rolling Stones. After that, Santanaways, will honor the distinctive musical stylings of Santana on July 18; and then, on Aug. 18, A Tribute to Abba will get everyone dancing in the streets. All three concerts will be preceded by a beer garden at 6:30 p.m. before the music gets going at 8 p.m. from Wrigley Stage. Check out JAWS – The first summer blockbuster also spawned a generation just a little apprehensive about the water. Find out more about what it took to make this iconic film at the Catalina Island Museum’s exhibit, Jaws: The Art of Fear in Filmmaking, which features storyboards, models, props and more from the movie that put Steven Spielberg on the path to becoming the world’s best-known filmmaker. Organized thanks to the help of JAWS Production Designer Joe Alves, this exhibit will give you an exclusive behind the scene look at what it took to make this cultural icon. 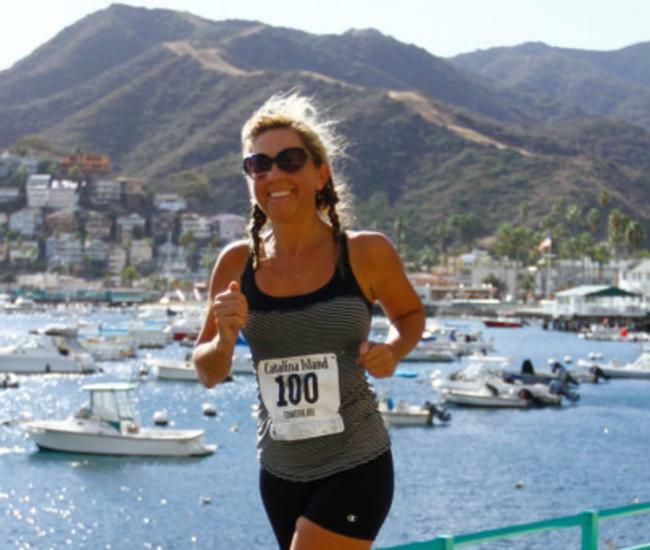 Experience the Fourth of July – There’s no where else like Catalina Island for celebrating the USA’s independence, where the Fourth of July starts on the third and continues until the sixth. The festivities kick off in Avalon on July 3 with a barbecue at the fuel dock from 11 a.m. to 4 p.m. and a concert by the University of Southern California marching band on Wrigley Stage beginning at 3 p.m. Things really get rocking on the Fourth, with our famous golf cart parade taking over Crescent Avenue at 1 p.m. followed by a series of concerts on Wrigley Stage. Another barbecue all day at the fuel dock and a barbecue buffet dinner in the Casino Ballroom provide plenty of options for food and frolic. At 9 p.m. the rockets’ red glare will reflect in Avalon Harbor for a rousing fireworks display visible from just about everywhere in town. On July 6, the Fourth festivities will continue at Two Harbors with the Children’s Festival, a dinghy parade and a fireworks spectacular. 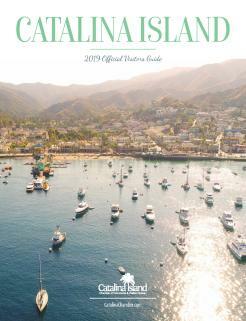 See the rest of Catalina Island – the vast majority of visitors to Catalina Island never explore beyond the confines of Avalon. Considering the natural wonders awaiting in the interior of the island, that’s a crying shame. Several tours are available to see the rest of Catalina Island, including the East End Adventure, the Safari Island Adventure and the Conservancy’s Jeep Eco-Tour. You can also book a guided hike with a naturalist or take the Safari Bus to Little Harbor for a kayaking adventure. Tour the garden – Throughout the summer, the Catalina Conservancy will be offering complimentary naturalist-led walks through the Wrigley Botanic Garden. Located at the top of Avalon Canyon, the garden is an oasis where native plants and exotic succulents flourish. See a movie – Whether it’s first run movies surrounded by the spectacular murals and architecture in the Avalon Theatre or classics at the Catalina Island Museum’s outdoor movie series, going to the movies on the island is far different from a trip to your local multi-plex. 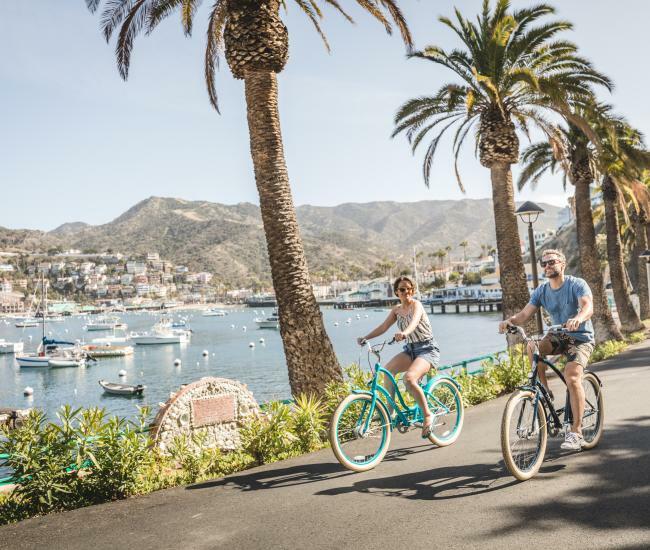 Plan your next trip – While summer is an ideal time to visit Santa Catalina, this idyllic destination rewards visitors no matter when they visit.